This American comedian, actor, and writer is best known for starring in Vice Principals and Eastbound & Down, HBO Television series that he co-created with Jody Hill. 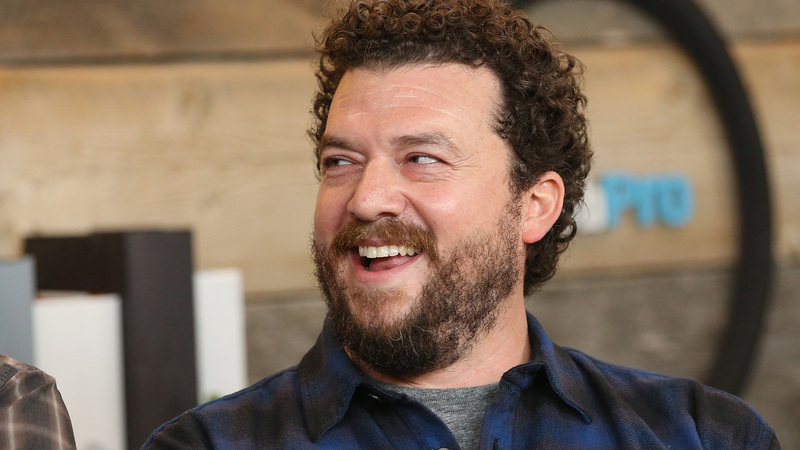 Danny Mcbride’s roles in box-office hits like The Foot Fist Way, Pineapple Express, and This Is the End introduced him as a name to watch in the industry. His fame continued to expand and he started getting works as a voice-over artist on several notable animated projects. Danny was born Daniel Richard McBride in Statesboro, Georgia on December 29, 1976. He was raised by his mother and step-father after she separated from his real dad. After graduating from Courtland High School, he went on to the School of Arts in the University of North Carolina, where he later became one part of the Three Flavas, alongside Kris Baucum and Jody Hill. Danny’s love for acting and telling stories was inherited from his mother, a Baptist preacher who performed her church sermons with the aid of puppets. After his time at the School of Arts, he appeared in his first movie role in The Foot Fist Way, a low-budget film he co-wrote with his friends – Jody Hill and Ben Best. Acting work was hard to find, so he had to hold down a side gig as a waiter in a restaurant while pursuing his career. His big break came when he was discovered by Will Ferrell. The popular comedian saw the comedy film he made with his friends and loved Danny’s performance in it. His career took off and he began to feature in some blockbuster movies including Pineapple Express, All the Real Girls, and Tropic Thunder which ended up doing incredibly well at the cinemas. His role as a writer and the character of Kenny Rogers (a former major league baseball pitcher with anger issues) in the HBO original series, Eastbound & Down bolstered his fame and made him a person to be taken seriously in Hollywood. Early in 2018, it was announced that Danny would be starring in Dundee: The Son of a Legend Returns Home, a sequel to the original Crocodile Dundee. The film will feature star-studded cameo appearances by Chris Hemsworth, Russell Crowe, Hugh Jackman, Ruby Rose, and Margot Robbie. However, it was discovered that the trailers for the movie were part of a Superbowl commercial to promote Tourism in Australia. Danny also has a flourishing career as a voice actor. Some of his best voice-over works include animated movies like Despicable Me, The Angry Birds Project, Kung Fu Panda 2, and Sausage Party. With an on-screen presence that is loved by many, ensuring he has fans all around the world; and his role as the voice behind some of our favorite animated films, it is no surprise that Danny has managed to rack up a ton of cash through his dedicated work as a writer, comedian, and actor. Danny earned 100,000 dollars for every episode of Eastbound & Down, a sum that is by no means little. He is estimated to be worth a little over 25 million dollars ($25,000,000). The blooming star married his girlfriend Gia Ruiz, an art director, in October of 2010 at a very posh hotel in Palm Springs, California. His wife became pregnant three months after and then gave birth to a son. Danny remains happily married and he admits to being ecstatic about his family. Despite the contemptible characters he plays on TV, Danny is far from being a jerk. His personal life is simple and without drama. He spends a lot of his time trying to be a loyal and amazing husband to his wife, and a wonderful co-parent. See Also: Who is Luke Wilson, Is He Married, Who is His Wife? What is His Net Worth? The successful actor stands at 5 feet 10 inches, a respectable height that is neither on the short side or overtowering. Here are some other interesting facts to know about Danny. 1. Even though he attended film school, he never intended to become an actor. His interest was in screenwriting until his best friend, Gordon Green called and begged him to fill in the shoes of an actor who had bailed last minute on the movie, All The Real Girls. 2. He met Samuel L. Jackson for the first time while he was drunk and had to stumble through words to tell the legendary actor how much he admires him. 3. Danny Mcbride could have been a professional baseball player for Peniscola Pelicans, but he turned down their offer to join the club in 2009. 4. He is a shy person away from the cameras. 5. Mcbride once worked as a substitute teacher. However, instead of teaching his class, he let them watch a movie instead while he read a book at the back of the class.